The aluminum needles in SNAKE-IT rips through roots and clogs! Do you have questions about SNAKE-IT? Call 1-800-688-6221 between 7:30am and 4:30pm CST to speak to customer service. 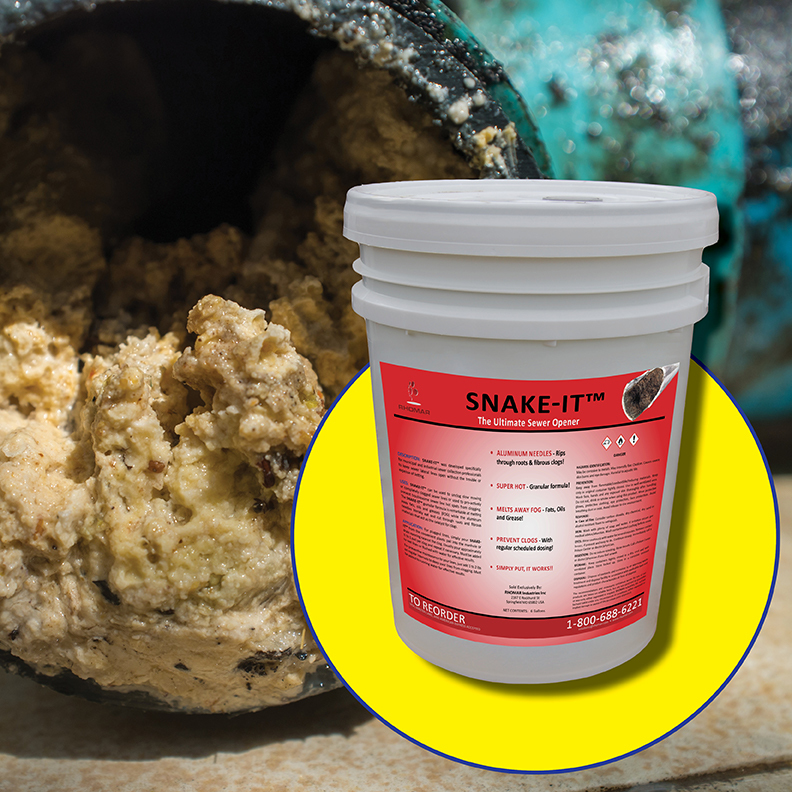 SNAKE-IT was developed specifically for municipal and industrial sewer collection professionals to keep sewer lines open without the trouble or expense or jetting. The SNAKE-IT granular formula is remarkable at melting away fats, oils and greases (FOG) while the aluminum needles literally eat and cut through roots and fibrous materials that act as the catalyst for clogs. Melts away fats, oils and grease found in your sewer lines. Aluminum needles rip through roots and fibrous clogs.. Safe granular formula that only gets hot when activated by water. Can be used proactively to prevent clogs in problem lines. For plugged lines, we recommend 1/2 to 1 pail per clog. Repeat as necessary until clog is removed. 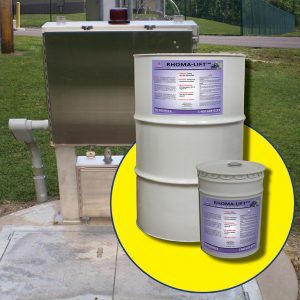 For preventive maintenance of your lines, just add 1 to 2 lbs on regular intervals to be clog free. 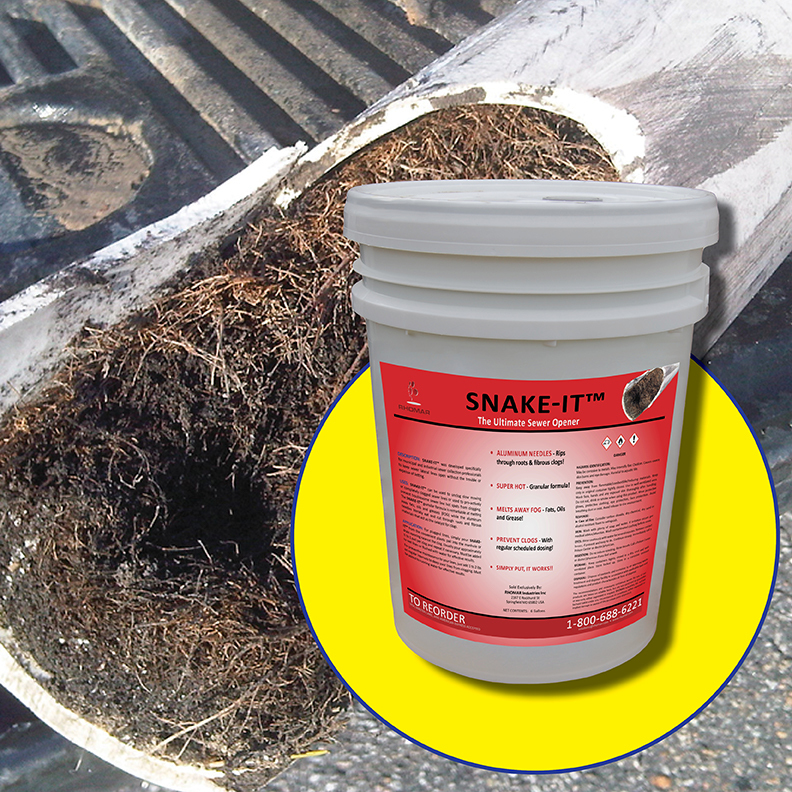 Pour SNAKE-IT from the convenient plastic pail into the manhole or drain opening nearest the clog. 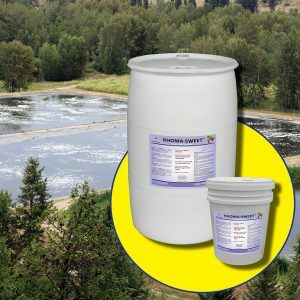 Must be added to a wet line or flushed with water for effective results.